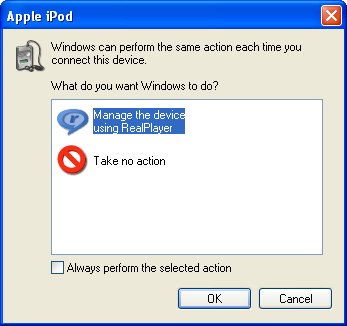 This popped up the first time that I plugged in my iPod after installing RealPlayer. Are they insane? What makes them think I would possibly want to manage it with that POS? media player classic for real and quicktime...what joy indeed! just search for real player alternative if you don't already have it.